Why do handyman companies love Jobber? Jobber provides the tools you need to provide a top-notch service experience for your customers. The little things can make the biggest difference. That’s why you, your team, and your customers will find every interaction with Jobber easy and reliable. Clients can submit a work request through your client hub, accessible via a secure personalized link included with each of your emailed quotes and invoices. When a client submits a new work request, Jobber sends your business an email alert. You can review all of your work requests in Jobber and quickly convert them into quotes or jobs to get to work faster! Jobber makes it easy to get a clear picture of your team’s whereabouts as they move from job to job throughout the day. Get all the info you need to efficiently schedule and dispatch a team in the field is at your fingertips, and your team stays in the loop with the Jobber app. 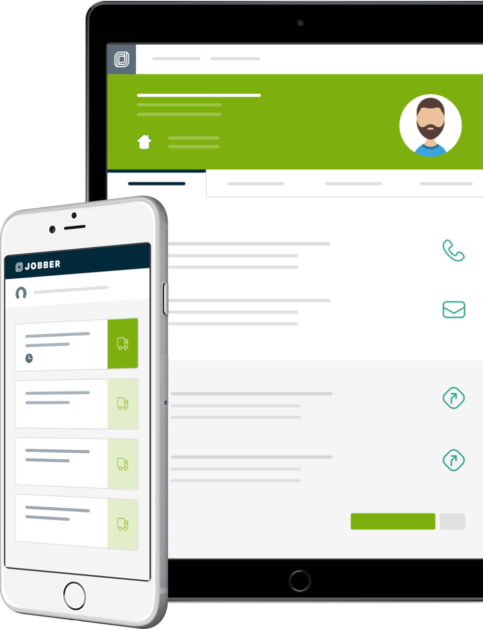 Your customers are asking for convenient quoting, invoicing, and payment options, and Jobber delivers all that plus great client communication tools. Jobber Payments is easy to set up, and allows you to accept credit cards right at a job-site. Or your clients can pay online through your client hub when you send them an invoice. Jobber Payments allows you to securely vault your client’s credit card information, so you can instantly charge them when work is done.